UFC star Conor McGregor recently honored and complimented one of his closest friend Drake via a new Instagram post. 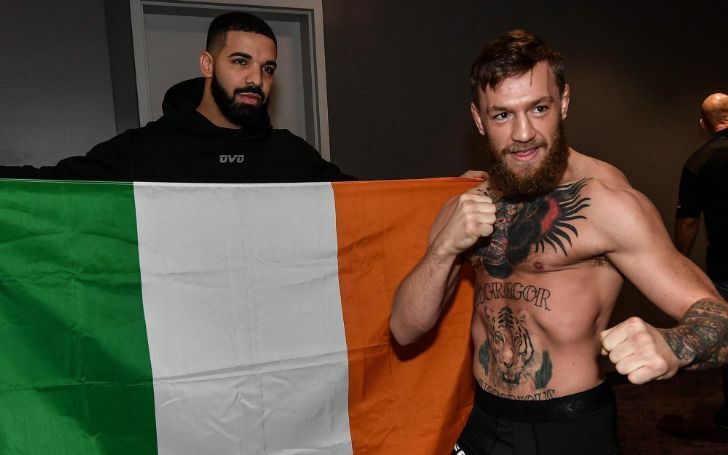 On March 23, Saturday, the MMA star Conor McGregor wished his longtime pal Aubrey Drake Graham precisely 'Drake' for his third and final musical concert Arena show at Dublin. The two share a strong brotherhood as in his first gig where he told the Irish crowd that he had been supported and inspired for the show by the Ireland starfighter McGregor. The 30-years-old Gregor later replied back to the Drake complement stating "The first time I went to see Drake was with Bono." "Drake is currently performing back to back to back, sold out shows in Ireland’s Point Depot. He has a La Ferrari swinging from the roof of it." "I love seeing the videos from the arena and to Drake shouting me out I appreciate your continued support brother! 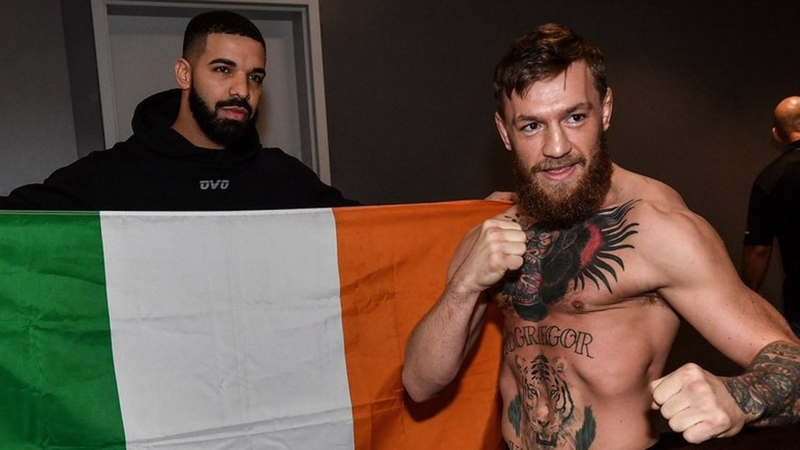 Drake and McGregor have been longtime pals as previously the 'In My Feelings' singer walked in support of McGregor during a weigh-in for Khabib Nurmagomedov vs McGregor lightweight Championship. Rapper Drake supporting Conor McGregor and Rapper Drake. The two first met each other at Drake's hometown Toronto during the promotion of the Irish boxer back in the Summer of 2017 and since then the two superstars are seen supporting and admiring each other. Meanwhile, Drake's fans witnessed the 32-years-old rapper hanging around McGregor's hometown, Dublin and now during his musical concert. So, guys what do you think about the two stars' friendship and their majestic bonding?